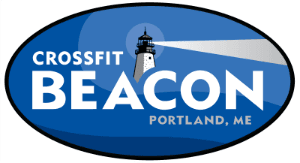 CrossFit Kids shares CrossFit Beacon’s mission of "Getting Fit and Having Fun” with kids aged 3-12. We want to help raise a community of children that associate movement with fun, helping them build a lifelong healthy relationship with feeling strong in their bodies. Use of CrossFit movements varies from regular adult classes. Athletes will perform unweighted or very lightly weighted lifts until consistently meeting the points of performance (which may take years). Skills will be introduced in pieces over the course of multiple weeks and then combined gradually. This approach helps kids feel successful by avoiding having them struggle to perform complex movements all at once. It also minimizes injury risk.